We need your support to continue. 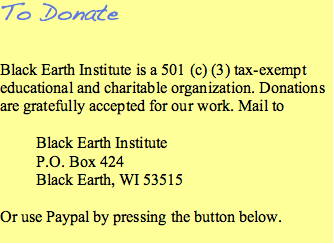 The Black Earth Institute supports artists and art much needed in our troubled times. 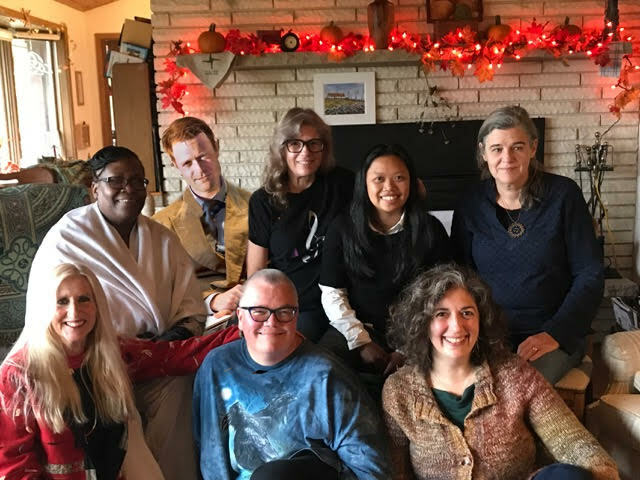 Now in our fourteenth year, BEI was founded by my late wife, Patricia Monaghan, and me to have art serve the areas of spirit, earth and society and we have done that in the years since. We started after Bush’s second stolen election and now years later things are worse than they were then and the support for artists and art is even more important. Each fellow receives an annual $1000.00 stipend for their three years to do a project in line with the mission of BEI and one that expresses their own work, interests and concerns. BEI supported projects including prose and performance on disability rights and practice; quilts and a poetry chapbook to demonstrate the racial profiling and shooting of African Americans ; a book and performance series about Syrian immigrants coming to the US; a major anthology of Chicanx writing, and the building of a writers retreat in the Driftless area inviting local and other writers. These projects reflect work with different media and address the environment, spirituality, and social justice much needed today. 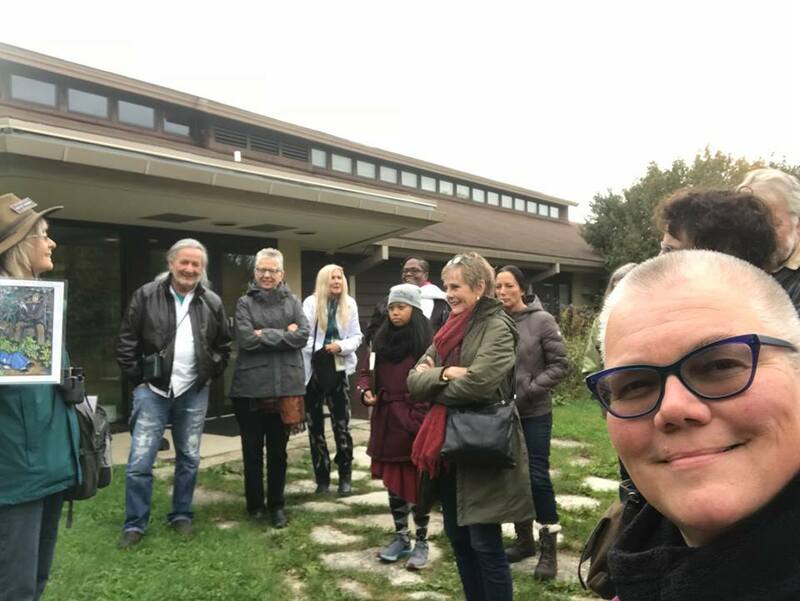 Each year current and past fellows, scholar advisers and board members attend an annual retreat here at Brigit Rest, our land here in the Driftless area of Wisconsin. We discuss how to support each other, share work and take on topics of import for the year. 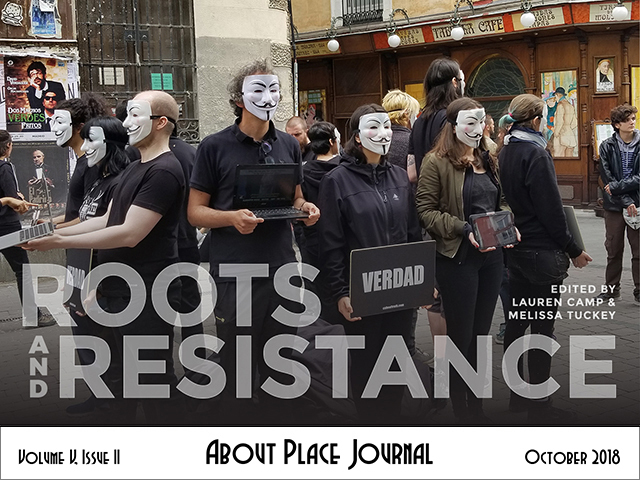 This past year the topics included what is political art, localized environmental action by faith groups and art speaking of the Irish peasantry. We tour local places like effigy mounds or the UW Arboretum. People leave to return to their own work strengthened, filled with new direction and supported in creation to change the world. We provide a travel grant of $500.00 to each participant. Our past fellows and scholars stay in touch and support each other We get by with a limited but productive staff. In total our yearly budget runs to just under $40,000. We need your support to continue. Our country, world and planet are on the verge of great changes and in what direction is the challenge. We are threatened with loss of democracy, further racist violence, irreparable damage to our world and its creatures, OR a different path with voices of ordinary people determining our rulers, protecting and healing for the earth, renewed spirit, and a much more just society build on acceptance and respect for all. Please donate what you can. Enclosed in a stamped addressed return envelope with support options. We need your help, art can change people and the world, you can too.